Our Red Dragon HEMA Synthetic Sparring Falchion is designed for the rigours of the HEMA salle and is practically unbreakable. Its combination of durability and value for money make it a popular choice for HEMA schools around the globe. It comes in modular form with many options for customisation and is perfect for beginners. 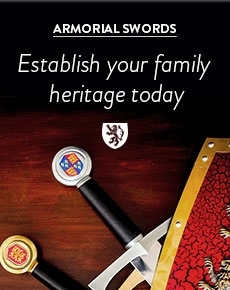 Our synthetic swords are also great for film and theatrical use, being cheaper and requiring a lot less maintenance than their steel or aluminium counterparts. We have been working hard with plastics experts to formulate a new grade of high impact plastic for our messer/cutlass blades. After extensive testing, we are now convinced we have produced a virtually indestructible blade! Well, we haven’t managed to break one yet! Rest assured this change has not affected the flexibility or weight of the blades. The Falchion combined the weight and power of an axe with the versatility of a sword. Falchions are found in different forms from around the 11th century up to and including the sixteenth century. It was likely to have developed from farmer's and butcher's knives of the seax type or in the manner of the larger Messer. 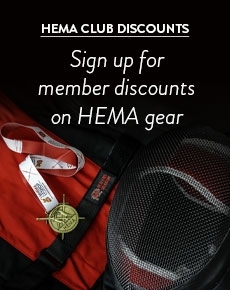 Buy the Red Dragon HEMA Synthetic Sparring Falchion with confidence from the UK’s leading HEMA equipment retailer.